Valentine’s Day is just around the corner and love is in the air! 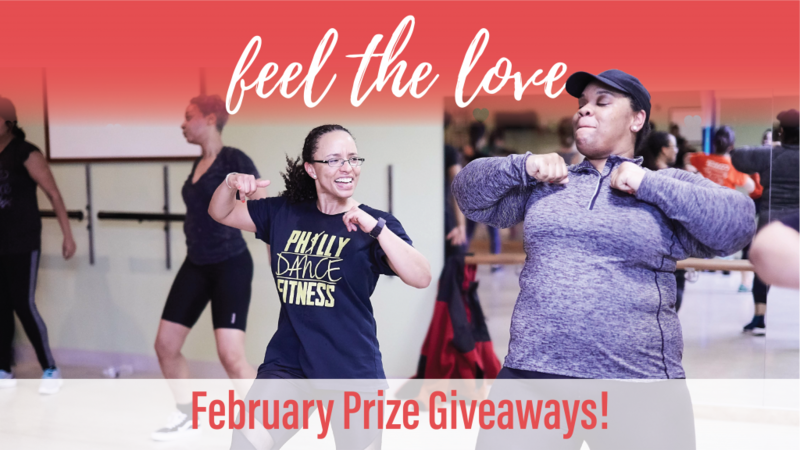 Here at Philly Dance Fitness, we’re getting in the spirit with some awesome prize packages to reward YOU for all the hard work you’ve put in at our studios. To enter to win, all you have to do is dance! Each time you come to class, we’ll give you a raffle ticket. Bring a friend and we’ll give each of you TWO tickets! Odds are in your favor because we’ve got LOTS of prizes: 4 amazing packages, and we’re picking at least 2 winners for each — a member and a non-member. On Valentine’s Day, we’ll draw winners for Dance & Romance and Love to Sweat packages. Then we’ll start fresh with two more packages — Love Yourself and Date Night — which will be raffled off at the end of the month. 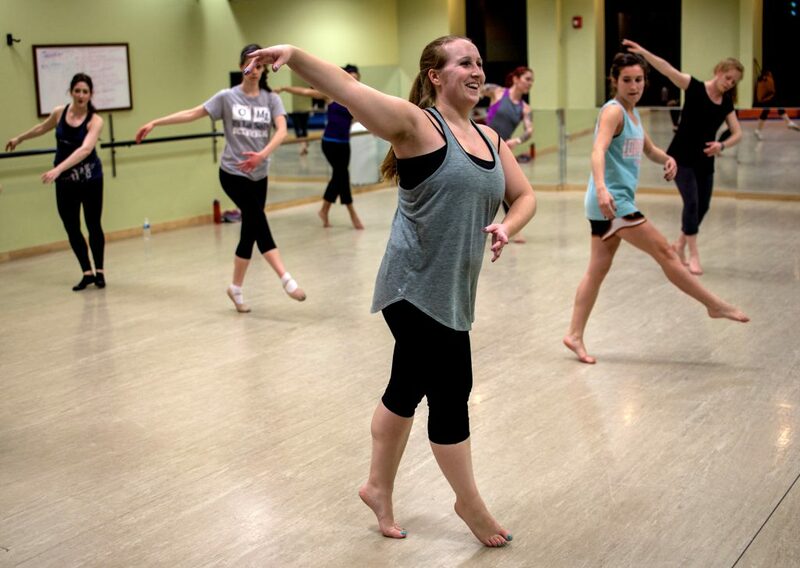 DANCE & ROMANCE — Share your love of dance with someone special! After a free private partner dance lesson, we’ll send you off to enjoy a drink or bite to eat just a few blocks from our South Street studio. LOVE TO SWEAT — Who says you can’t be stylish while you workout? We’re hooking you up with gift cards for activewear, running gear and dance skirts! A gift card to Athleta ($50 value) along with a private shopping trip where you and your friends will enjoy discounts and other surprises + a gift card to Philadelphia Runner ($25). A gift card to Athleta ($50 value) and shopping trip with discounts for friends + two dance skirts of your choice shipped right to your door from Abigail Mentzer Designs ($72 value). DATE NIGHT — Take a night off from cooking with a trip to a local restaurant followed by a fabulous dance show at the Annenberg Center. Two tickets to Union Tanguera + Kate Wear Co. on April 6 at the Annenberg ($116 value) + a gift card to Alma De Cuba ($150 value) . LOVE YOURSELF — After putting in so much hard work at our studios, pamper yourself with these salon treatments. We’re pulling THREE winners for this category! A FREE hair cut from H&K Salon ($55 value) + a pedicure at Polish Nail Lounge. A FREE cut from Cynergy Hair Studio ($60 value) + a manicure at Polish Nail Lounge. The ultimate cut & style package from Cynergy: a FREE cut ($60 value) + three blow-outs ($120 value). Bring a friend or use them all yourself! Drop your tickets in the raffle prize jars at each studio throughout the month of February. Don’t forget to write your name on the back! Come dance with us and celebrate you! 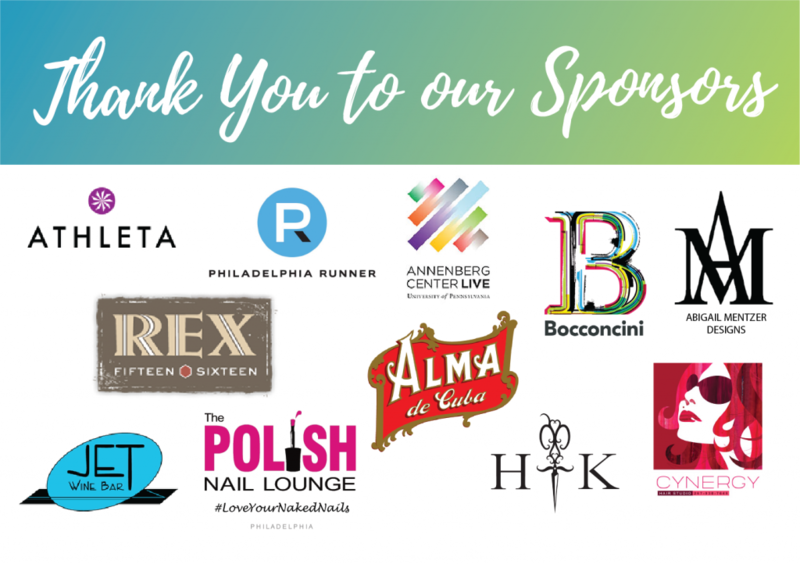 Special thanks to our generous sponsors for providing these fabulous prizes!